Dr. Zygawski is an avid linguist who speaks English, French, German and Polish. As a medical and surgical Ophthalmologist, Marcin Zygawski, MD, FACS, specializes in comprehensive ophthalmology and eye surgery, including no-stitch cataract surgery, anterior segment reconstruction, and basic oculo-plastic surgery of the eyelids. He also utilizes the latest laser procedures for glaucoma, retinal disorders, and other eye conditions. Dr. Zygawski has extensive experience in premium lens selection process and is the first one in Berkshire County to utilize extended range presbyopia correcting Symfony lenses. Most recently Dr. Zygwski introduced iStent Inject glaucoma procedure to our patients, a type of Micro-Invasive Glaucoma Surgery (MIGS), which both improves long term glaucoma control and is performed in conjunction with cataract surgery thus minimizing additional intervention. 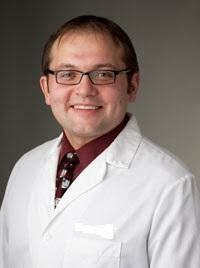 Dr. Zygawski completed his medical school training at Albany Medical College in Albany, New York. Following an internship in internal medicine at the local Berkshire Medical Center in Pittsfield, Massachusetts, Dr. Zygawski completed his ophthalmology residency and served as chief resident at Nassau University/Stony Brook Medical Center on Long Island, New York. A Board Certified Ophthalmologist, Dr. Zygawski is a Diplomate of the American Board of Ophthalmology, a Fellow of the American Academy of Ophthalmology and a Fellow of the American College of Surgeons. Upon completion of his residency training, Dr. Zygawski joined a private practice in the lower Hudson Valley, New York area where he developed extensive experience in the surgical treatment of very complex eye problems. Afterwards, he spent two years in Cooperstown, New York, where he was an anterior segment ophthalmology surgeon and a clinical instructor for Columbia University College of Physicians and Surgeons, students and residents. In 2015, Dr. Zygawski joined Berkshire Eye Center and shortly became a partner. Dr. Zygawski is pleased to be part of the Berkshire Eye Center family to bring his knowledge, expertise and care to our patients.